Are you looking for a Children’s Optometrist in the Valley? 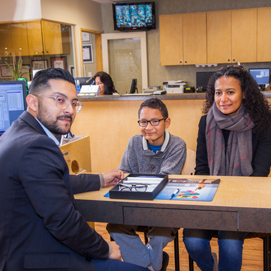 Families in and around the San Fernando Valley turn to Dr. Leonard because of his experience working the children of all ages to make sure they can see clearly. Choosing the right medical care for ANY part of your body is important. And as careful as you are when choosing your own doctor, you are probably even more careful when choosing a doctor for your child. And choosing an Optometrist for your child is no different. The office of Dr. Barry Leonard started treating adults and children in1957. In fact, several of Dr. Leonard’s child patients have become his adult patients over the years, having relied on this very special Optometrist for 20 or 30 years or more. Both parents and children alike find the office of Dr. Barry Leonard a fun place to visit. Dr. Leonard has a way with children that’s comfortable, fun, and sometimes a little bit silly. And that puts children at ease, especially when they are visiting an eye doctor for the very first time. 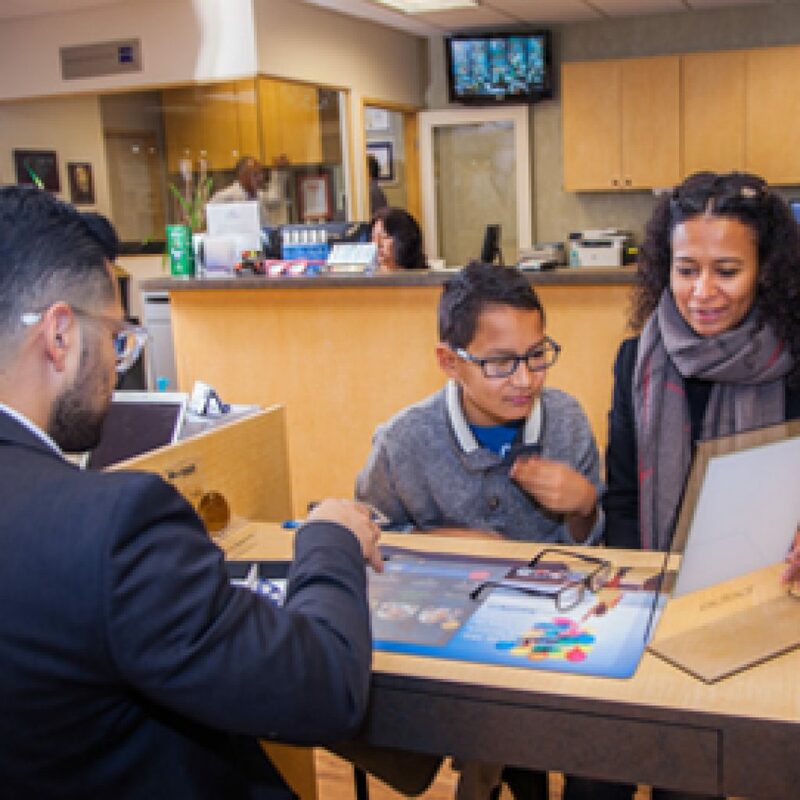 A Children's Optometrist in the San Fernando Valley that makes children's eyecare fun while using the latest in vision care technology. Those machines — which are painless and even sometimes fun — can be scary to children the first time they see them. But Dr. Leonard puts children at ease, explaining what the machines do, how they do it, and even a little bit of the science behind them. And that makes visiting the eye doctor something to look forward to. And some of the machines actually ARE fun, and seem more like video games than sophisticated eye care technology. A Children’s Optometrist in the Valley That Makes Vision Fun! Not only is Dr. Leonard great with kids, but so is the rest of his staff. Every one of them will do their best to put both you and your child at ease, while at the same time giving them the best eyecare in the Valley. If you’re at all apprehensive and careful about the doctors your child sees, be sure to get to know Dr. Leonard and his staff. In fact, you can make an eye appointment online by using the big button at the top left of every page of this site (and also at the bottom of this page). Or, you can call our office at any time at 818-891-6711. We’re excited for you to see why Dr. Leonard is considered a top children’s Optometrist in the valley. You and your child will be in good hands — and see perfectly once we’re done. 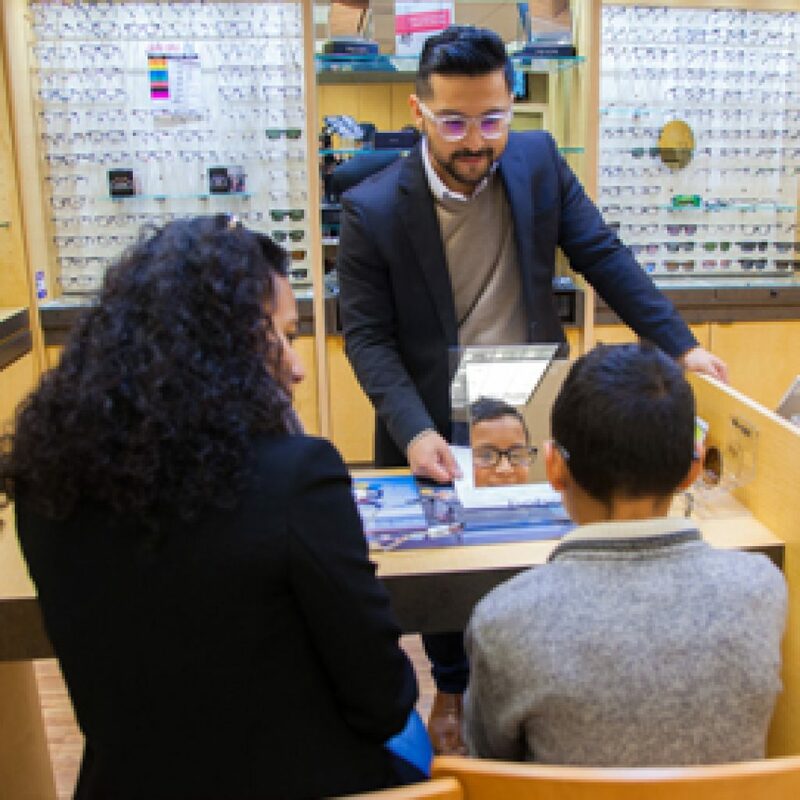 Our team loves helping kids find the perfect frame to match their personality and style. We'd love to help your family too! Give us a call. Picking up a new set of prescription glasses is an exciting time for a young child. It's a fashion statement that helps them showcase their personal style. Trust your child's eyewear to the best Children's Optometrist in the Valley.